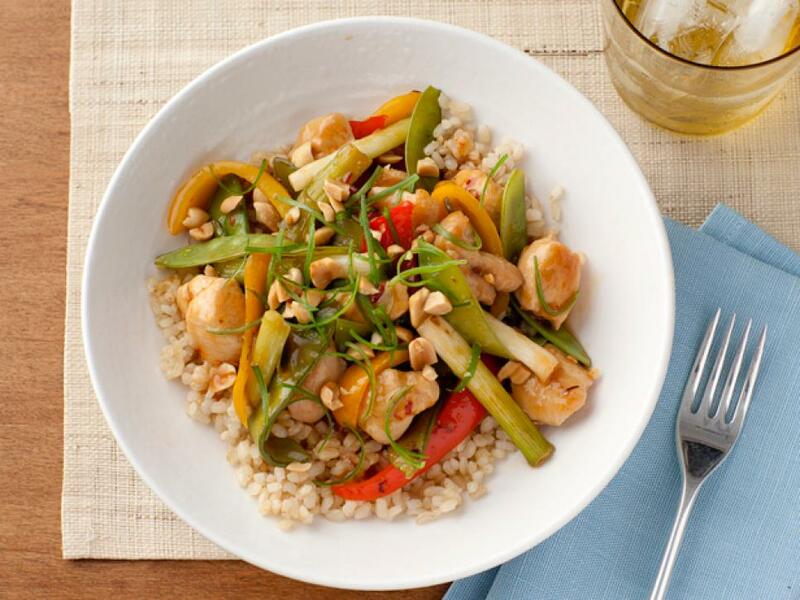 Browse healthy homemade recipes inspired by drive-thru, fast-food and takeout favorites, like Chinese, Tex-Mex, Middle Eastern, Thai, Japanese, fried chicken and pizza. 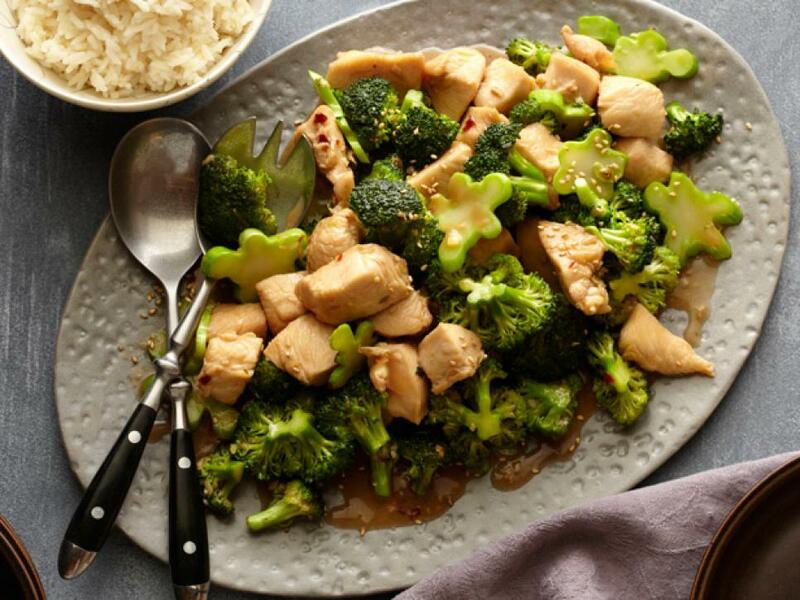 Marinate the chicken while you prepare the rest of the ingredients and this quick-cooking takeout classic is ready in under 30 minutes -- that's faster than delivery. 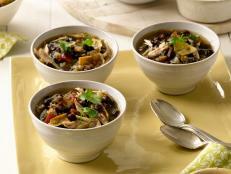 Your classic Tex-Mex takeout is typically shrouded in melted cheese, right? 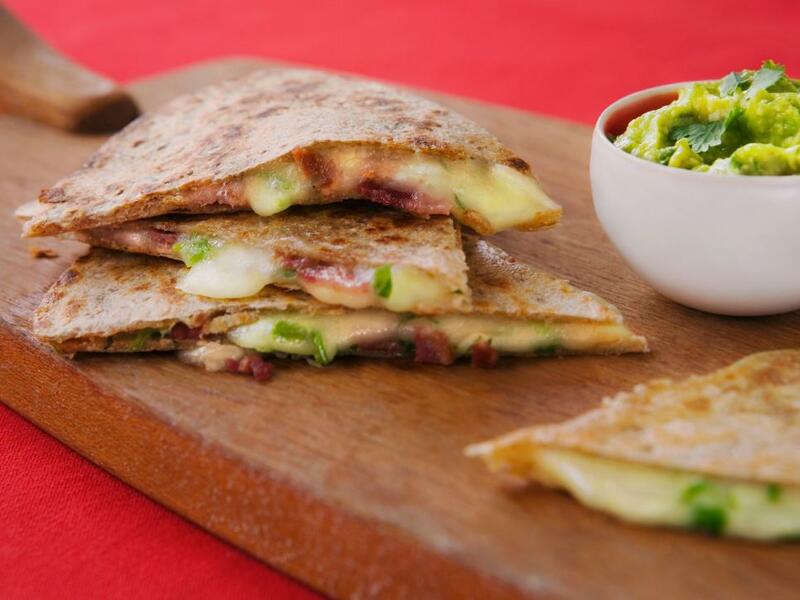 It's time for a slimmed-down quesadilla. 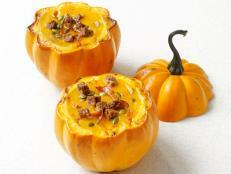 This features turkey bacon, reduced-fat cheese and lots of spice, stuffed into whole-grain triangles. 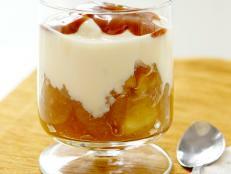 This recipe renovation calls for orange juice and honey to sweeten the sauce, and the chicken is cooked quickly at a high temperature to give it a golden color, without using the fryer. 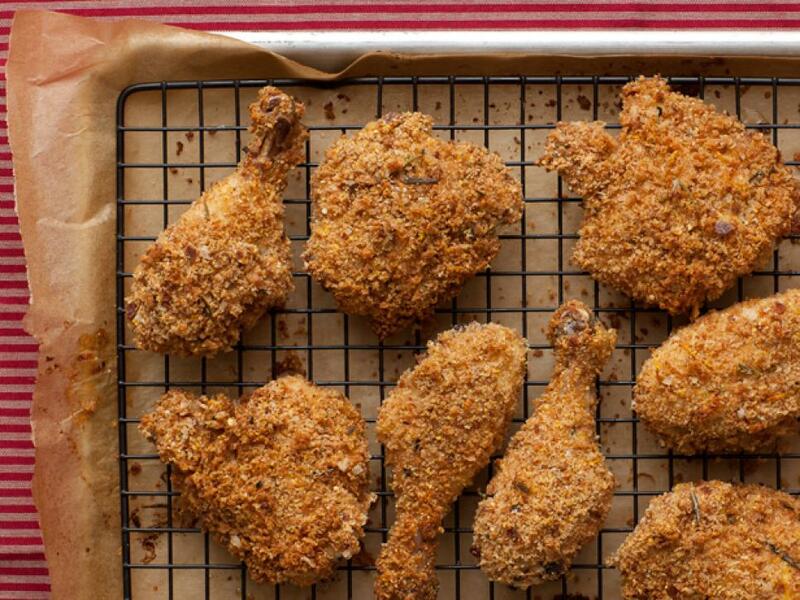 When a fried-chicken craving hits, make your own baked version instead of picking up a bucket from a fast-food joint. The oven will get the chicken just as crispy as the deep fryer, without all the excess grease. 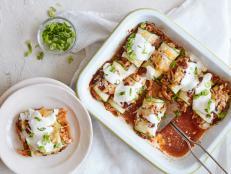 Before resorting to a gargantuan burrito literally bursting at the seams, take a cue from Ellie Krieger. 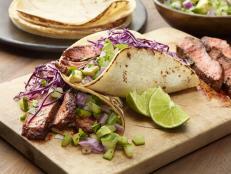 Her makeover of a Tex-Mex favorite features low-sodium beans, whole-wheat flour tortillas, and Greek yogurt in lieu of sour cream. 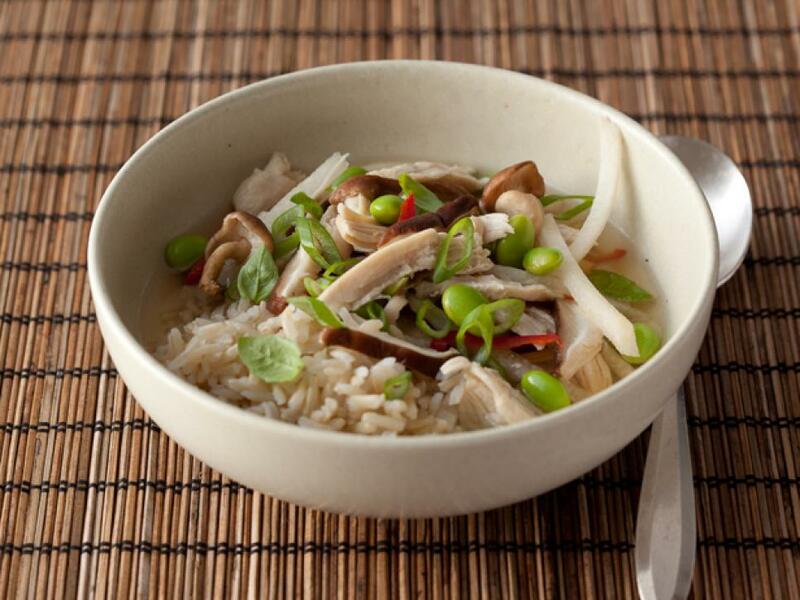 Poaching the chicken in broth keeps it grease-free, while a generous helping of veggies brings a crunchy dose of nutrients to the entire bowl. 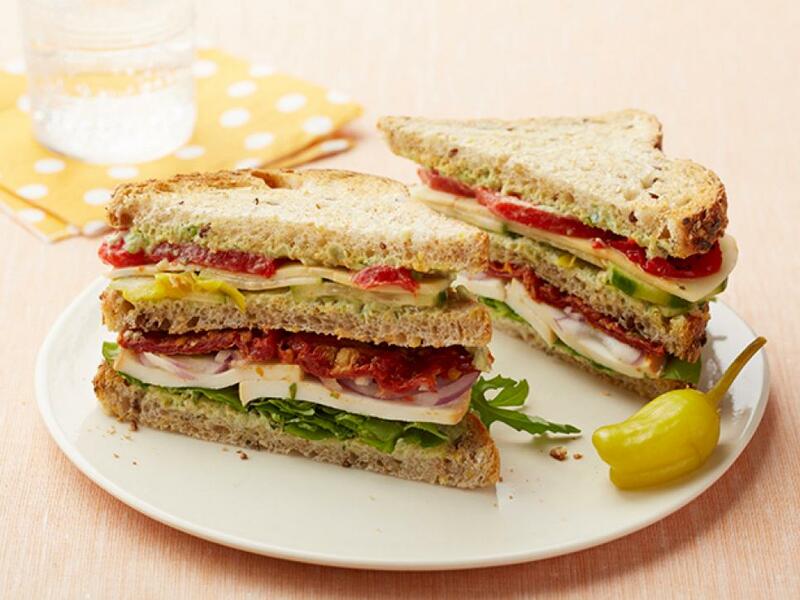 Stacked high with veggies, this sandwich is as appealing to look at as it is to eat. 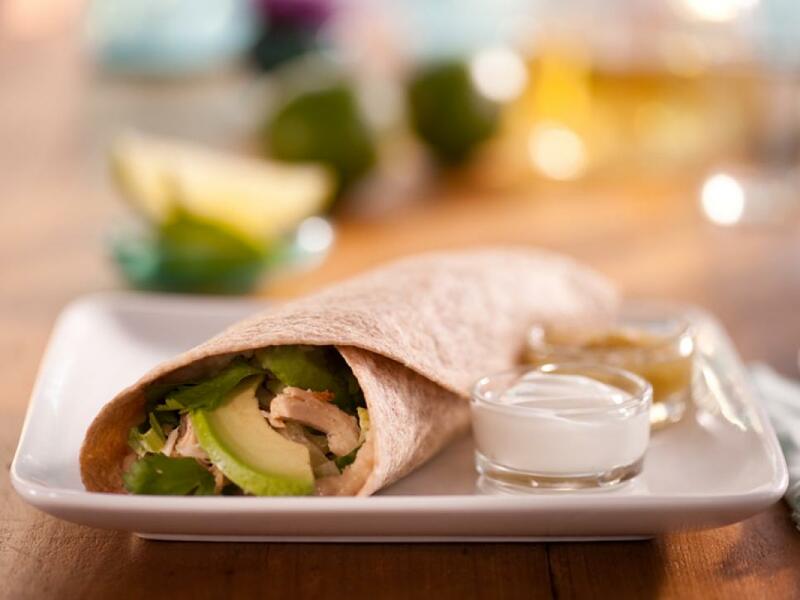 With luscious avocado spread and smoky tofu, there's no bacon or deli meat necessary. 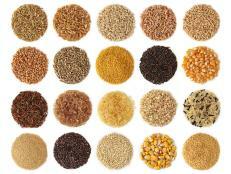 Being in charge of ingredients and portions is key to making a bowl of noodles a bit healthier. 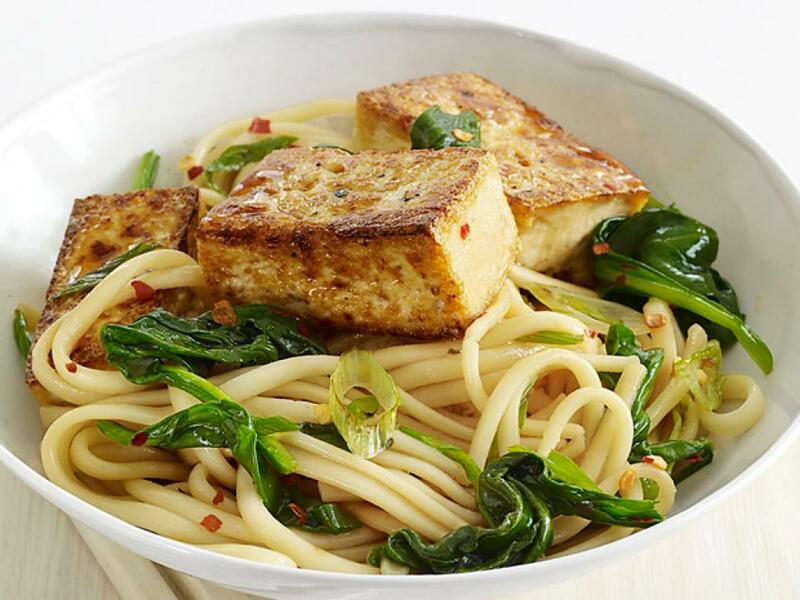 This soup uses low-sodium soy sauce and protein-rich tofu. 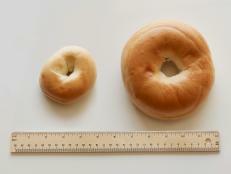 Rest assured that you can still grip this sub like a football when you're taking a big bite. 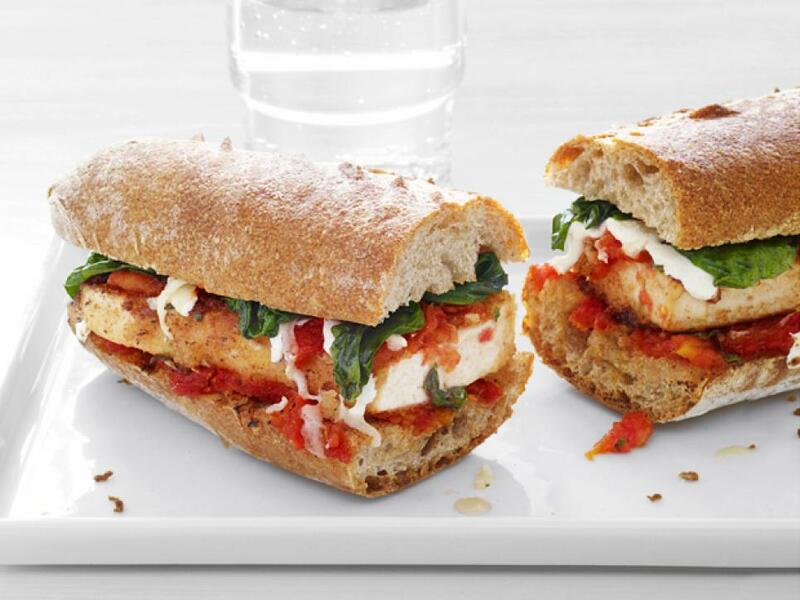 But made up of tofu, part-skim mozzarella, a whole-grain baguette and tomatoes, this Parm sub is on the slimmer side. 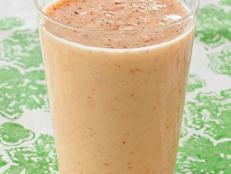 Those grab-and-go breakfast concoctions at the drive-thru sure are tasty, but they're loaded with fat and calories too. 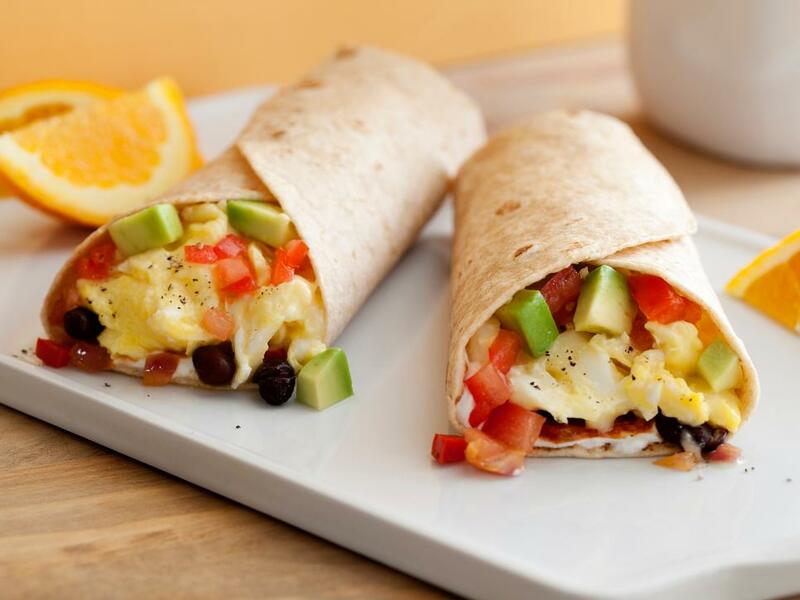 Make your own breakfast wrap: Fill a whole-wheat tortilla with wholesome ingredients like eggs, beans and vegetables. 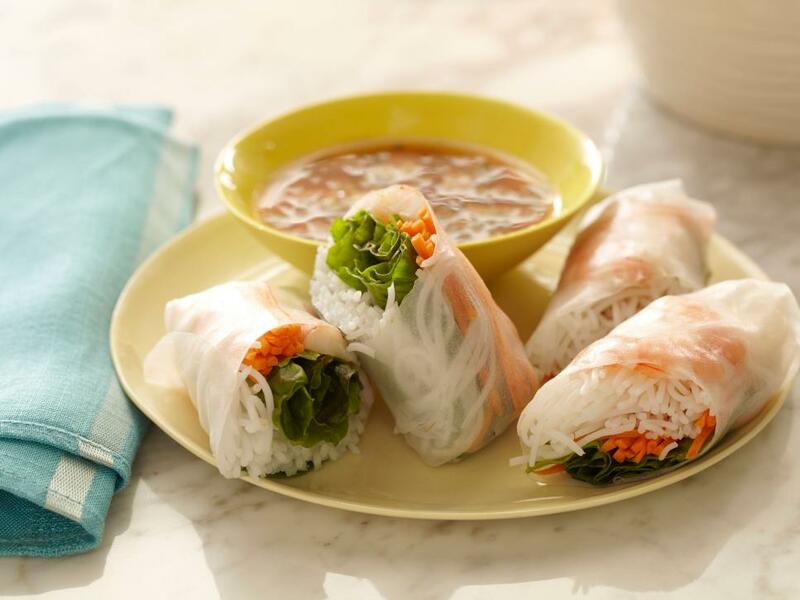 You can't get Asian takeout without a roll. 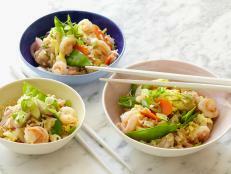 Nix the standard fried spring roll and get a bit fresher by going for veggies and shrimp in a soft rice-paper shell. 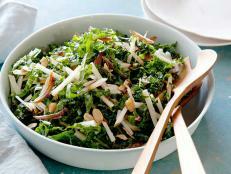 Indian takeout may be tempting, but many entrees are laden with thick, rich sauces. 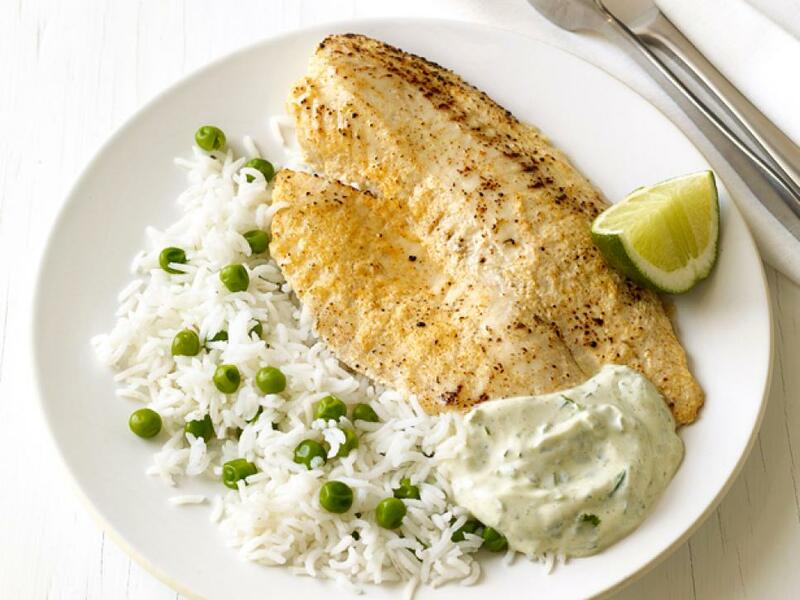 This tilapia masala incorporates the flavor of Indian spices with a light piece of fish and a cool yogurt sauce. Order chicken Parmesan from your neighborhood Italian joint and you'll get a greasy, deep-fried piece of chicken, covered in cheese, likely served with a large portion of pasta. 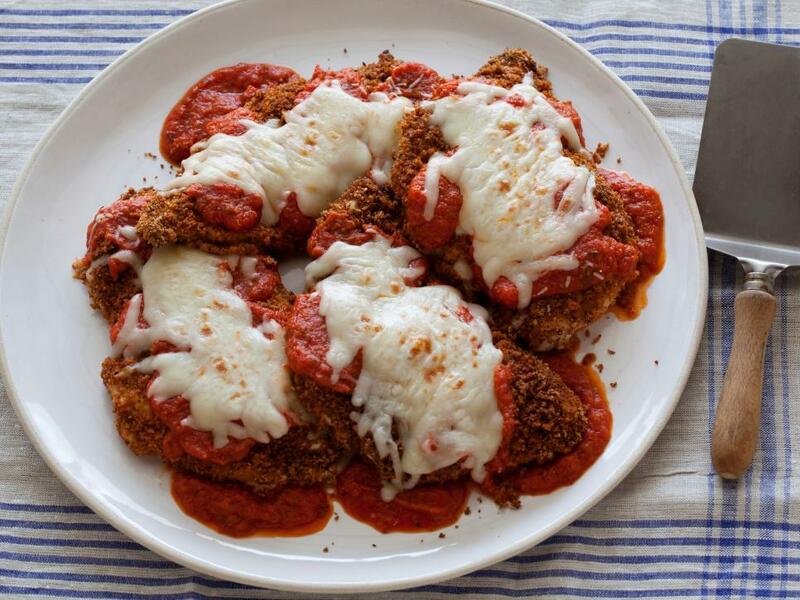 Make your own baked version of chicken Parm and save on excess calories and fat; serve it with a modest portion of whole-grain pasta. 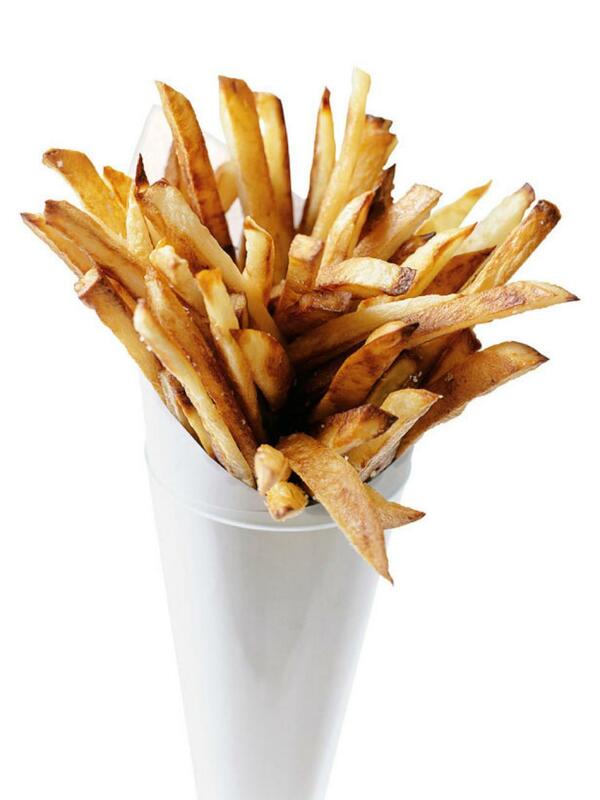 These shreds of spud will never see the fryer — or the drive-thru. Instead, they reach crisp, golden status in the oven. 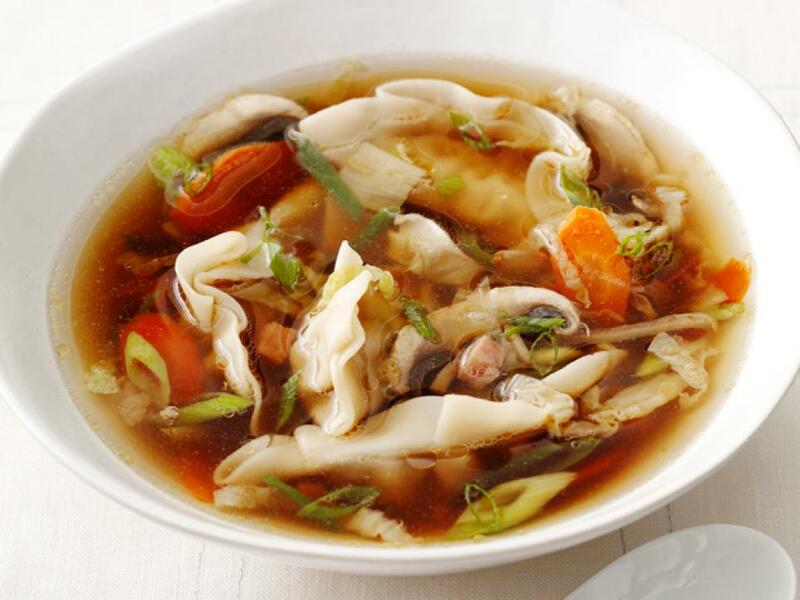 Get the Recipe: Oven "Fries"
Use store-bought dumplings (found in the freezer aisle) to make a homemade version of a classic takeout soup in under 30 minutes. 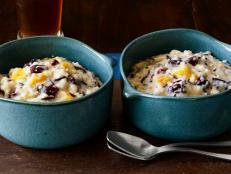 Your next barbecue dinner won't go from the pit to a takeout box. 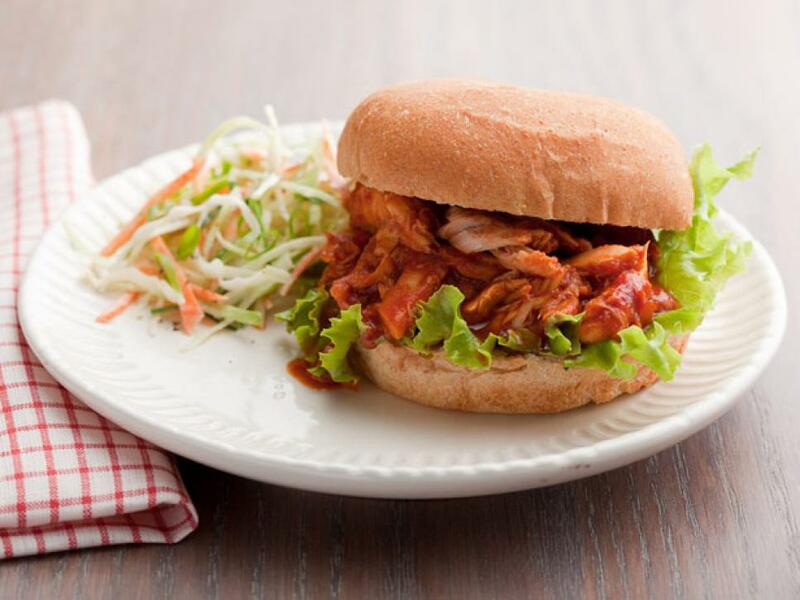 Make Ellie's quick, easy barbecue sandwich, using store-bought rotisserie chicken, instead. There is nothing quite like dunking a crunchified chicken finger into ketchup. 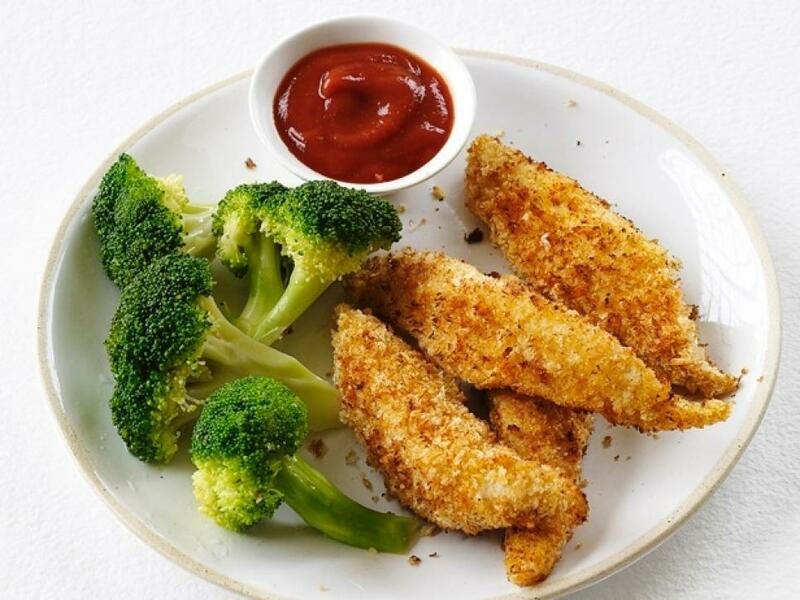 Breadcrumb-coated chicken fingers come out just as crispy if you bake them instead of frying them; for an extra-special dipping sauce, spike ketchup with curry powder. 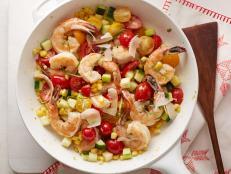 Food Network Kitchens' take on this takeout favorite is loaded with shrimp and vegetables and is quickly fried in just a touch of oil — one serving comes in at under 400 calories. 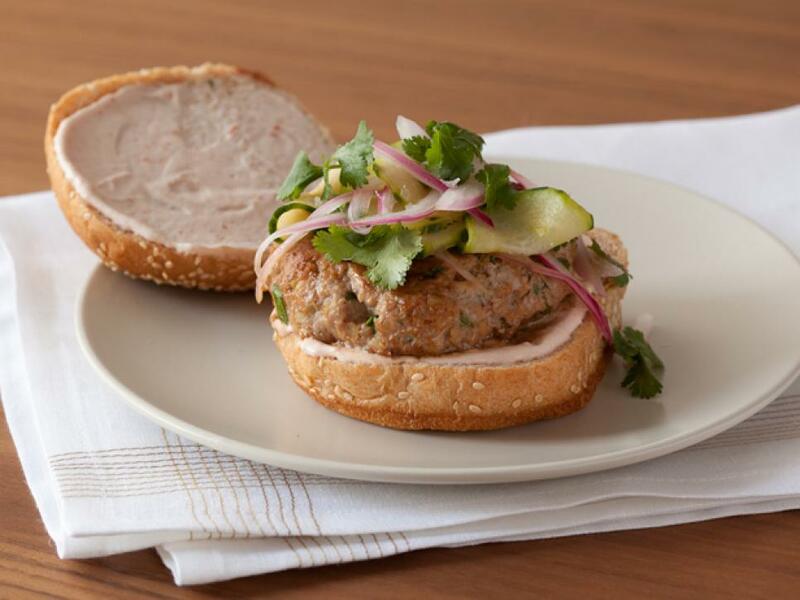 It's all too often that someone else is making our burgers, but it's as easy to make them at home as it is to order from the drive-thru or restaurant — and much healthier. 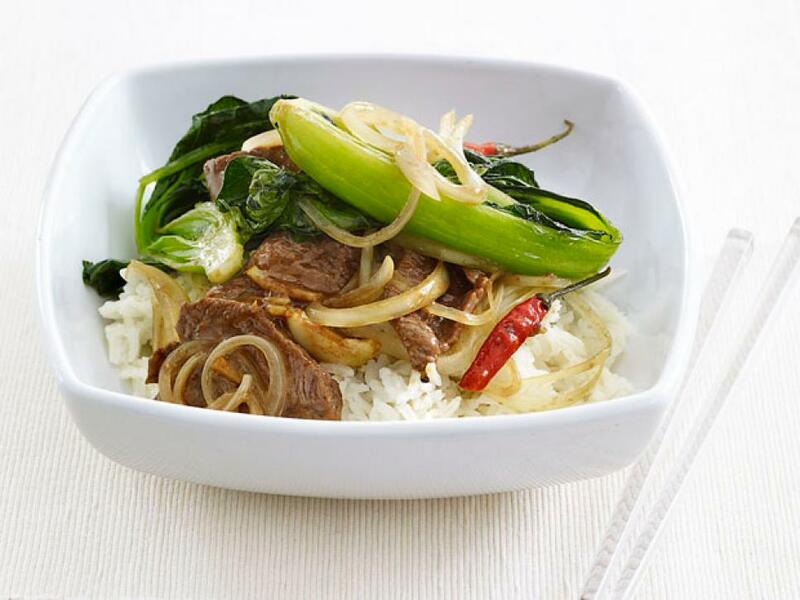 Stir-frying is a quick, healthy way to cook meat and vegetables at home. 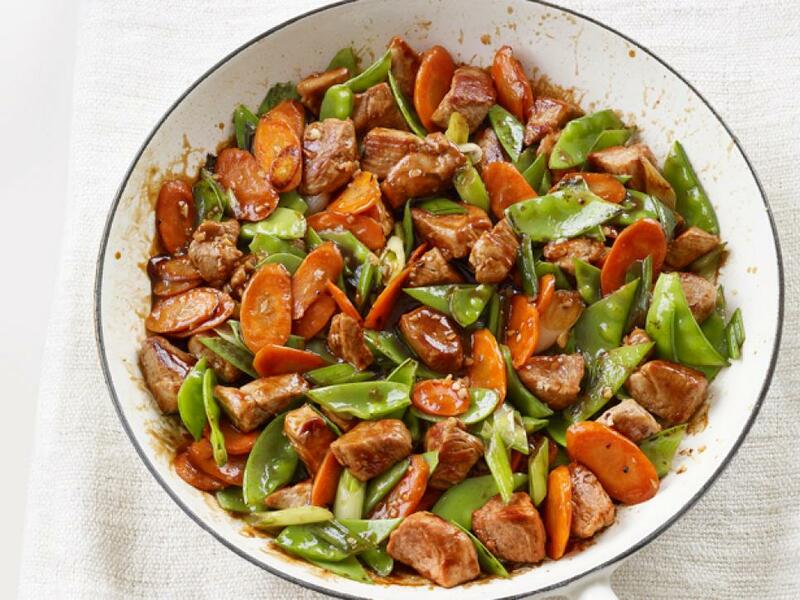 This stir-fry's made with lean pork tenderloin and plenty of vegetables; serve it on its own or over brown rice. 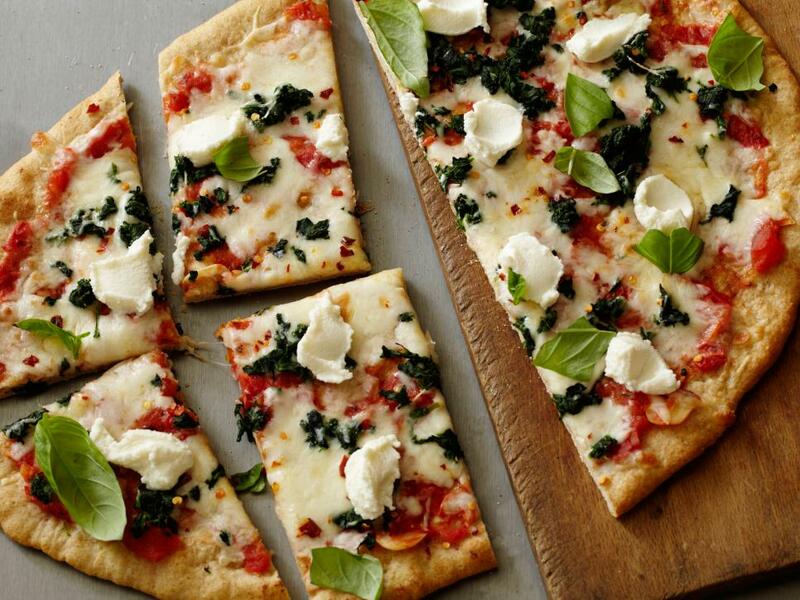 When it's pizza night at your house, don't dial for delivery; make homemade pizza instead. 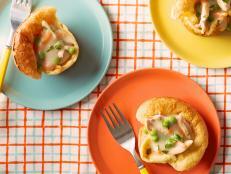 This veggie-topped pie is made with homemade dough, but to save time, use store-bought whole-grain pizza dough instead. 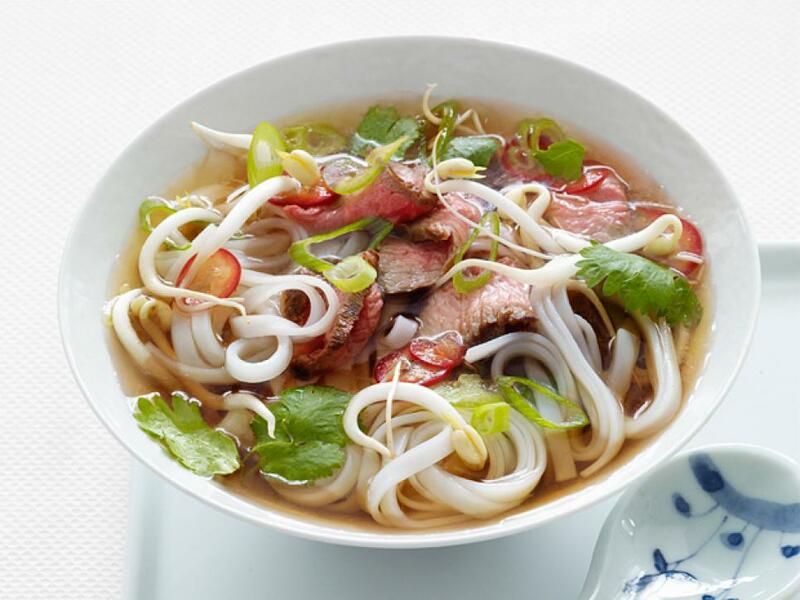 You'll see Vietnamese noodle soup — also called pho — on restaurant menus, but this traditional dish is easy to make at home. Takeout stir-fry comes coated in sugary sauce, and store-bought jars of stir-fry sauce are also often laden with excess sugar and sodium; luckily, making your own stir-fry sauce is a quick and easy — and much healthier — option.